New Zealand’s cruise industry is pleased construction of Lyttelton Port Company’s (LPC) cruise berth has commenced – with pile driving having begun on July 19. The cruise berth is New Zealand’s first ever custom-built cruise ship facility and will bring the world’s largest cruise ships to Canterbury. 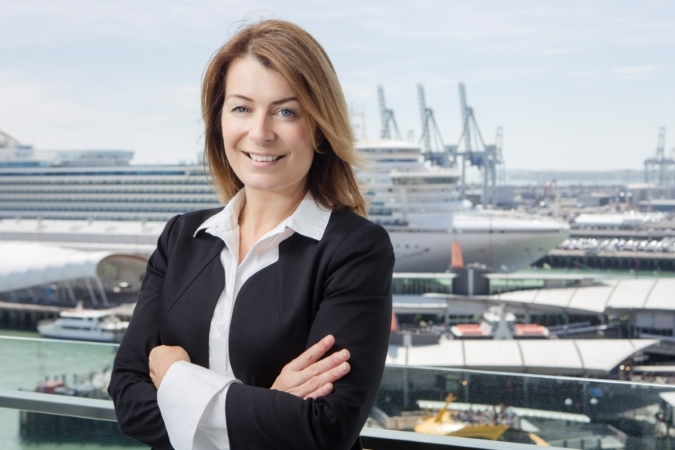 NZ Cruise Association Chairman Debbie Summers says this is a positive signal to the cruise industry, which is looking forward to once again having the harbourside town as a future destination. “There’s nothing better than the amazing vibe that cruise tourism brings. Tourists will be excited to visit Akaroa, Lyttelton, Christchurch and the wider Canterbury region on their travels,” she said. International figures show that around 40 per cent of cruise guests return to destinations their cruise had visited. “We have 350,000 cruise guests coming through New Zealand next season, the likelihood of them coming back is high – with over 50 per cent of them being Australian,” she said. “They will come back as return guests because spending only a few hours in Lyttelton will not be enough – it’s purely a taste of what the region has to offer. “Retailers should be excited about the cruise berth, especially hire car companies, tour operators, ship provedors, cafes, shops and restaurants, which are all set to benefit from the cruise guests and crew members that will come to the region. Deputy Mayor and Councillor for Banks Peninsula Andrew Turner says he’s very pleased that construction on the cruise berth is underway. “This is a key piece of infrastructure which will support not only tourism in our region, but will ultimately contribute to the local, regional and national economy,” Mr Turner said. Mr Turner also acknowledged the way LPC had shown a commitment to communicating with the community about construction noise. LPC Chief Executive Peter Davie says he understands the noise from pile driving may be an inconvenience to local residents. “While the level of noise cannot be effectively mitigated, residents will be able to view regular updates to the planned piling times on LPC’s harbour watch website www.lpcharbourwatch.co.nz. “We are excited to see the construction phase begin as it signals a significant step in the return of cruise ships to Lyttelton Harbour,” Mr Davie said.